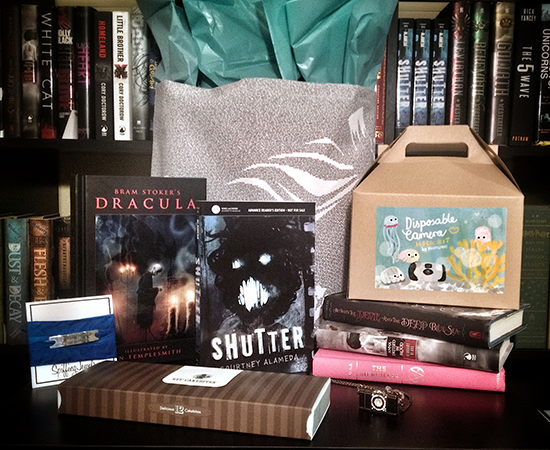 Bookish Lifestyle: Coutney Alameda's 30TH BIRTHDAY HORRORPALOOZA! Coutney Alameda's 30TH BIRTHDAY HORRORPALOOZA! Today is a very special day! VERY VERY SPECIAL! It's Courtney Alameda's 30th Birthday! The fabulous author of the upcoming hot release from Feiwel & Friends, SHUTTER (February 3rd 2015) is an absolute sweetheart and one of the coolest, kindest, most awesome people ever, and you should be getting on the SHUTTER bandwagon ASAP, because - mark my words - it is EPIC! I was lucky enough to get an early review copy (eARC), and it completely blew my mind! So, without further ado, please welcome Courtney and help us celebrate her 30th BIRTHDAY HORROPALOOZA! Since 30 is the proverbial age all twentysomethings fear, I thought I'd celebrate my thirtieth birthday by giving away some of my favorite scary things (and not-so-scary things)! 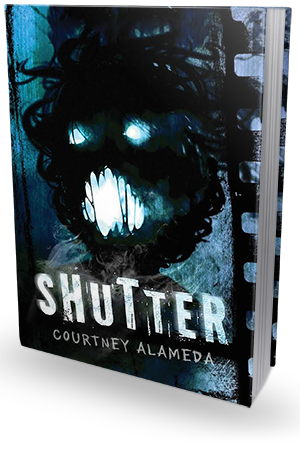 And since SHUTTER hits shelves in six short months, wish me the happiest of birthdays by adding it to your Goodreads shelves. You might just win something awesome in return! · Camera USB necklace (not pictured, but it's adorbs!) with the first five chapters of SHUTTER. MAJOR thanks to Evie for hosting this giveaway, and to Kendare Blake, Hillary Monahan, April Tucholke, and Danielle Vega for being willing to sign copies of their books! You, dear reader, can enter using the Rafflecopter form below until 11:59 PM on 9/2/2014. Sorry, the giveaway is only open to U.S. residents. Courtney Alameda’s career has been spent in and around books. She holds a B.A. in English Literature with an emphasis in Creative Writing from Brigham Young University, spent seven years working for Barnes & Noble, and currently works as an Adult & Teen Services librarian at the Provo City Library. Her forthcoming novel, SHUTTER (Winter 2015, Feiwel & Friends/Macmillan), is a tale spawned in part by Bram Stoker’s DRACULA, in part by her experiences both paranormal and not-so-paranormal, and features a cast of monsters inspired by everything from Japanese folklore to survival horror video games. 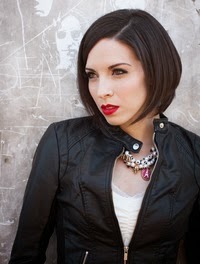 You can find Courtney Alameda online at www.courtneyalameda.com, or hanging out on Twitter as @courtalameda. SHUTTER is her debut novel.